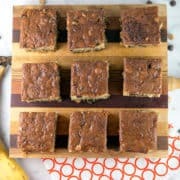 Easy to bake, peanut butter chocolate chip banana bars are like banana bread meets blondie meets sheet cake, full of chocolate and peanut butter chips! Bake up a batch today; easy to cut into squares and share with your friends. Breakfast, dessert, mid-afternoon snack? Perfect for all three! Stuck under a big pile of snow like half the country? 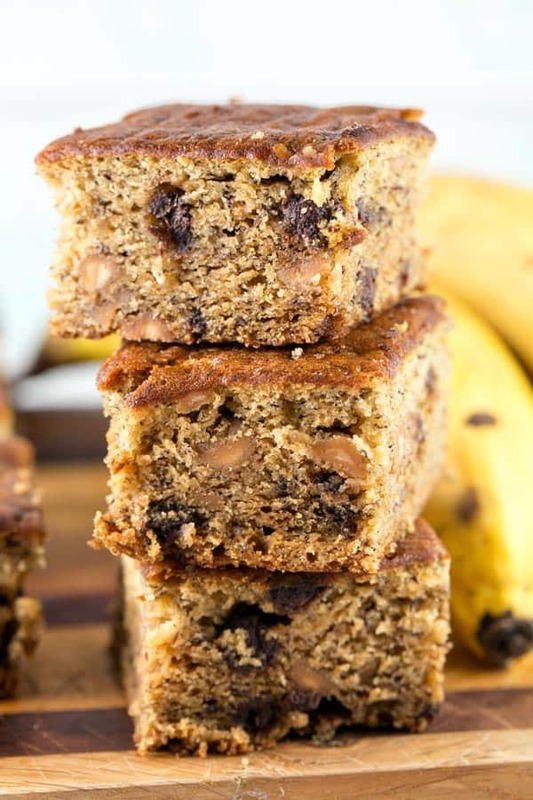 These peanut butter chocolate chip banana bars are the perfect snow day baking activity! Hopefully you, like me, keep a bag of extra ripe bananas in your freezer, ready to pull out and bake something banana-based on a whim. Is this a normal thing? Do most people keep frozen bananas because you never know if you’ll unexpectedly need to make a banana bread or cake at 11pm? I guess I can answer my own question based on the number of times people on my Buy Nothing neighborhood group ask if anyone has any extra ripe bananas to give away because they are in the mood to bake. So really, you should keep your own freezer stash. Banana baked goods whenever you want them. Life changing? I guess it depends on how much you love banana bread. But sometimes, you don’t want a loaf of bread. Instead, let’s make some banana bars. 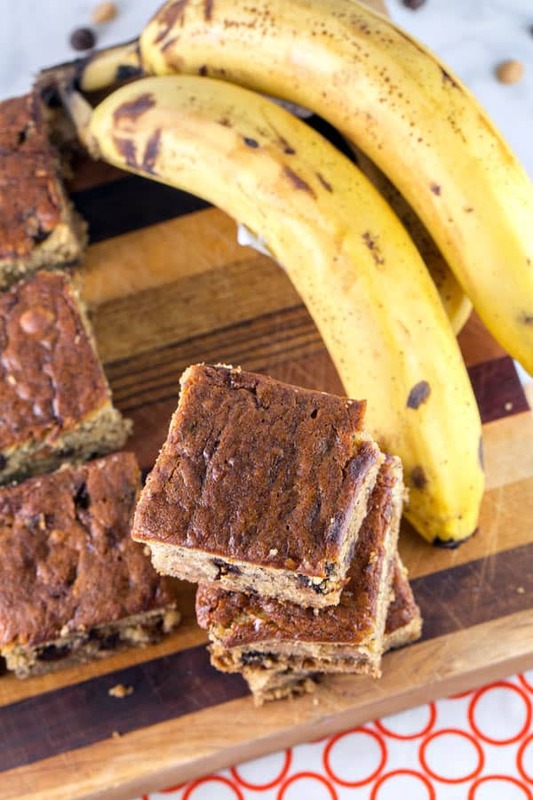 So what’s different about these peanut butter chocolate chip banana bars? 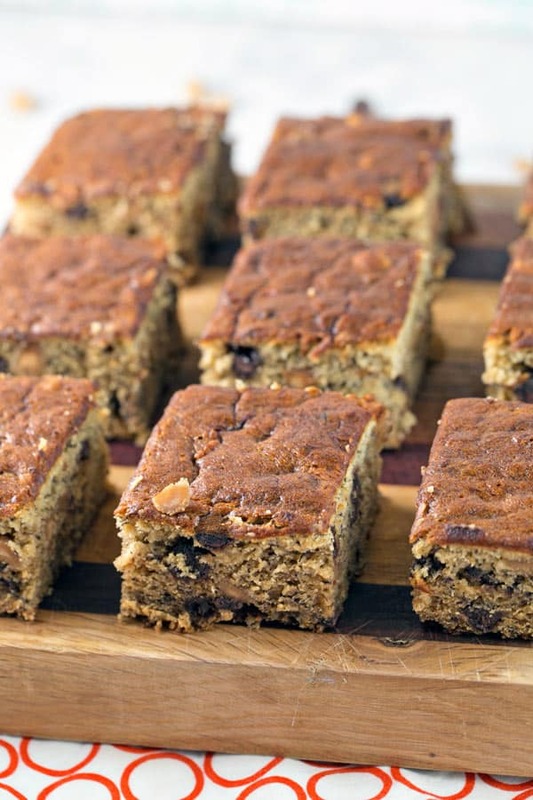 They’re kind of like banana bread meets a blondie meets a sheet cake. A little less egg makes them slightly denser and more brownie-like in texture, but the banana keeps them super moist and not at all dry. 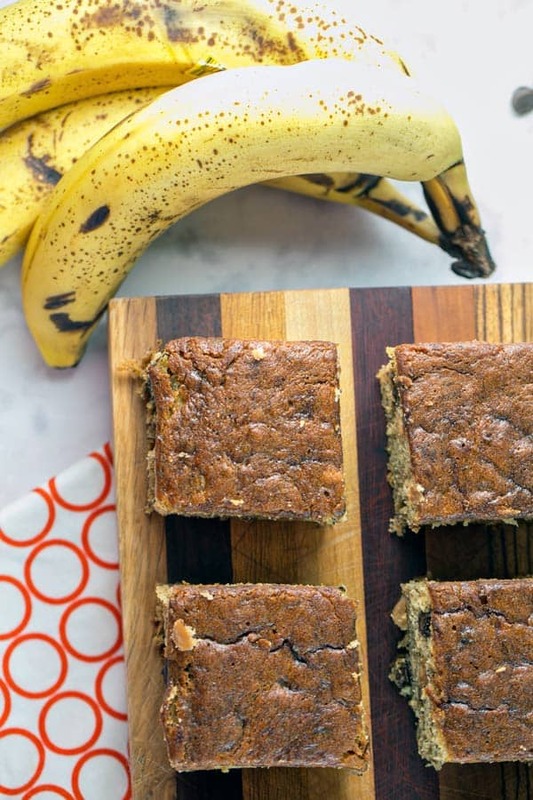 Because the banana bars are a little denser than a quick bread loaf, it’s easy to slice ahead of time into bars and share. Bringing pre-cut slices of quick bread with you? Be careful with how you package them – those slices might break in half and crumble! But these bars? 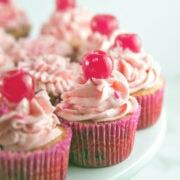 Just toss them into a container and go, just like you would a brownie or blondie. And if you’re baking with kids on a snow day, another added benefit is the baking and cooling time is a little bit shorter than a loaf of banana bread. Less time until I can stuff my face with some delicious peanut butter chocolate chip banana bars? Now I’d call that a win! 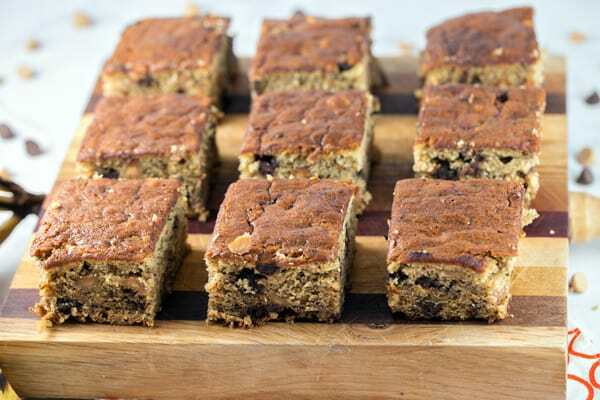 Easy to bake, peanut butter chocolate chip banana bars are like banana bread meets blondie meets sheet cake, full of chocolate and peanut butter chips! Preheat oven to 350 °F. Grease a 9×9-inch square baking dish. Cream together the butter and sugar in the bowl of an electric mixer. Add in the egg, vanilla, and bananas, and beat until thoroughly combined. Slowly add in the flour, baking powder, baking soda, and salt. Continue to mix until no streaks of flour remain. 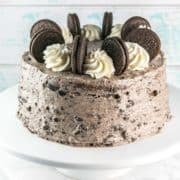 Spread the batter into the prepared pan and bake for 50 to 55 minutes, or until a tester inserted into the center of the banana bars comes out clean. Cool in the pan and cut into 16 squares. Peanut butter chocolate chip banana bars will keep at room temperature for 3 days, in the refrigerator for 5 days, or can be wrapped in foil and stored in a freezer-safe bag and frozen for up to 3 months.